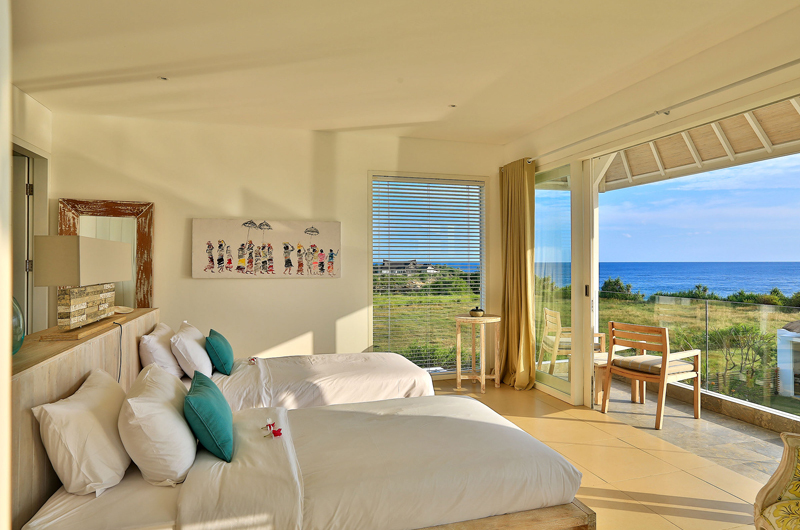 A remote white villa with large lawns and huge windows looking out to the crashing waves. The salt scented air, the sparkling waters in the long stretch of your private pool, the wafting smell of fresh coffee as you lounge in the living room overlooking the gorgeous outdoors; with all of this, you will find it difficult to imagine that you are away from home. Villa Putih, located in Seminyak is perhaps in one of the most commercially vibrant tourist districts of Bali, yet its modern state of art design that cleverly mixes traditional Balinese art with the sensibilities of modern living will allow you all comforts of a home stay. 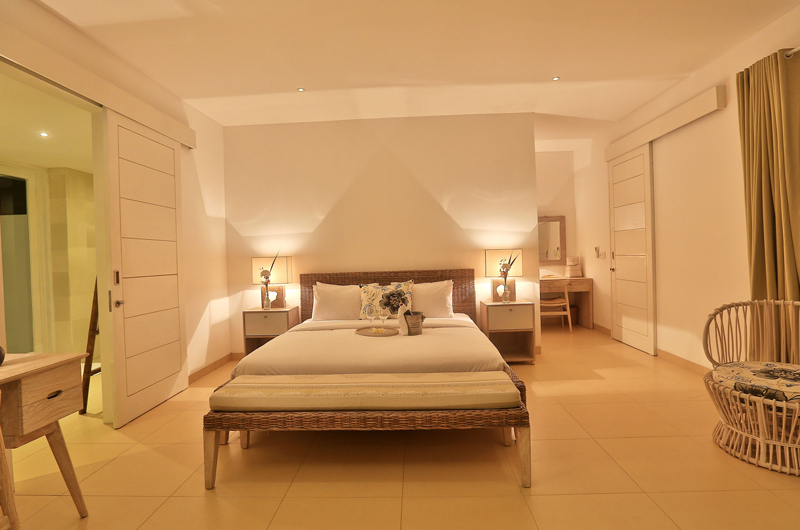 The two bedrooms come with well fitted bathrooms and shower cabinets; in fact the master bedroom has a gorgeously designed bathtub nestled within its own private garden-stuff for fantasy. The softest of drapes, plushest of upholstery and dark wood furniture give the villa a classy sophisticated feel of luxury. Replete with traditional Balinese artifacts in discrete little nooks, you will surely marvel as the aesthetics that makes this one of the best maintained of villas in the region. Apart from the spacious living room ,that gives you a wonderful feel of the outdoors, the loungers on the deck and the gazebo overlooking the pool, will help you spend many an afternoon napping or soaking in the sun. The statue of the Buddha sitting in its lily pond overlooking the facade of the villa sends a tranquil vibration all around. When you feel the need to reconnect to the world-use the free internet service or catch a movie or the news on the flat screen TV in the media room. While the maids and the cook will ensure you that the villa is well maintained and you are well fed, don’t let all this help stop you from trying your hand at some traditional cooking in the well equipped kitchen that comes with cooking equipment and even a smoothie maker! 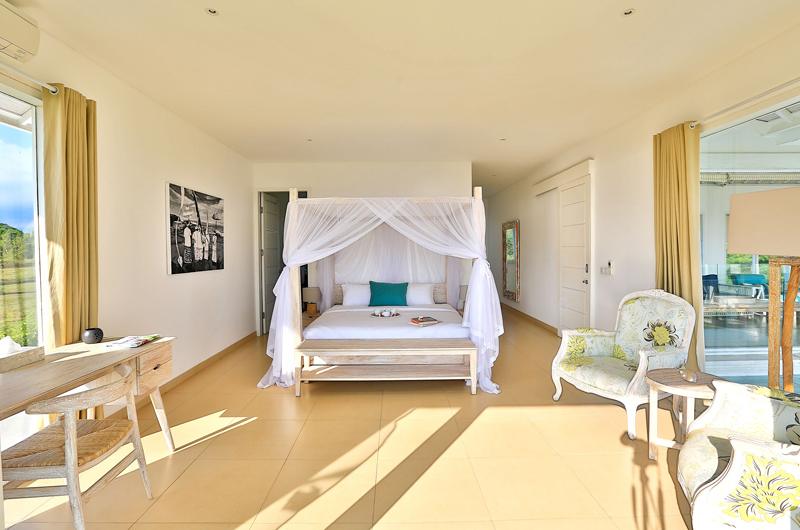 Villa Putih compliments every holiday maker’s need for privacy, comfort and convenience.